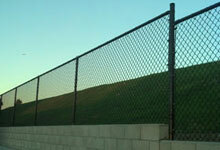 At J&J Fence, we take pride in contributing to the beautiful facades of homes and businesses throughout Redondo Beach. We have more than 30 years of experience working with Redondo Beach's homeowners, general contractors, commercial property owners, home associations and property managers, and have built a reputation for quality work and excellent service. Since 1978, we have consistently offered reliable fencing services at highly competitive prices. We use only our own trusted master craftsmen to fabricate and install our fences, gates, window bars and handrails-never subcontractors. As experts in our industry, we pride ourselves of offering exceptional planning advice to help you achieve the look and functionality you want in your fence at a price you can afford. Call today for a free on-site consultation and cost estimate. Take a quick look at our gallery to see what we can do. Our residential clients adore our wood, vinyl, chain link and iron fencing, but also frequently request our iron expertise to craft window bars or handrails for staircases and balconies. Everything we do is custom-made. So, if you don't immediately see a fence design pictured or listed here, give us a call; we can likely make it for you. We carry a huge selection of designs for inspiration and can even work from a sketch. Call today to learn more. We provide free on-site consultations and give upfront, honest pricing. While the above are often requested in security-strength gauges, we also offer decorative styles and economical options. Call today for a free, no-obligation consultation and price quote. New customers receive a 10% discount. When you want the best in fencing expertise, experience and pricing, contact J & J Fence. 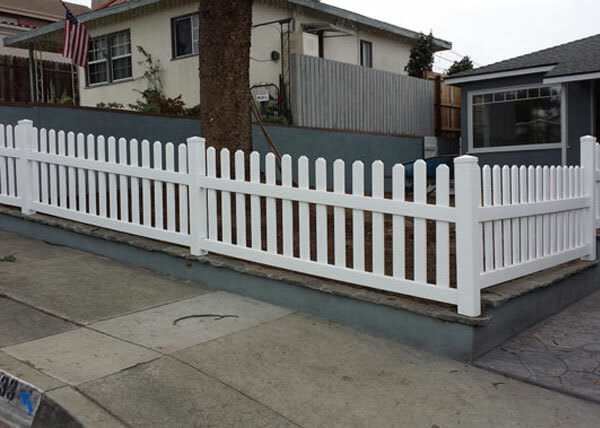 We recently completed a residential fence installation in Redondo Beach, CA. The white vinyl picket fence features dog eared pickets with pyramid style post caps. 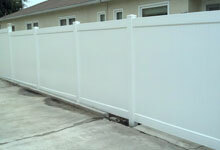 We also offer solid fences for added privacy. All of our vinyl fences and gates come with a lifetime warranty from the manufacturer.